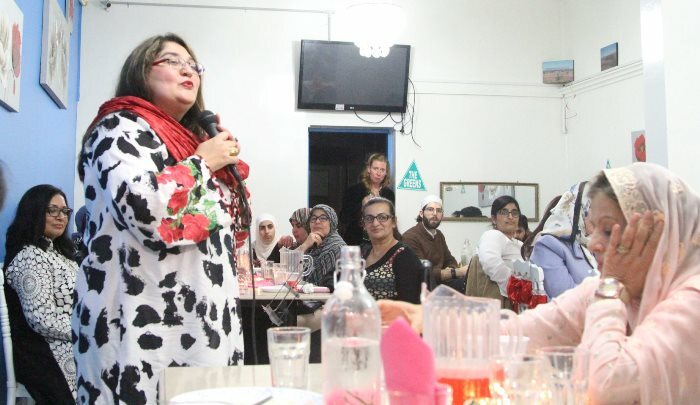 Honourable Dr Mehreen Saeed Faruqi is a Pakistani-born Australian politician. 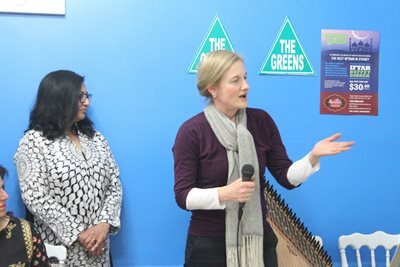 She has been a Greens MP in the New South Wales Legislative Council since 19 June 2013. 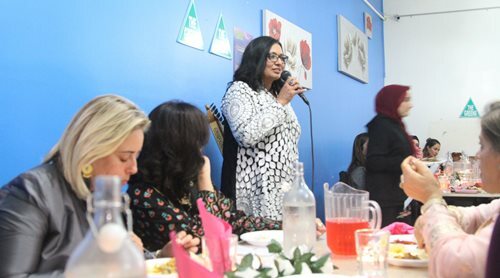 In parliament, Mehreen Faruqi has carriage of the following portfolios for The Greens NSW: Animal Welfare, Drugs and Harm Minimisation, Environment, Lower Mid North Coast, Multiculturalism, Roads & Ports, Status of Women, Transport, Western Sydney, and Young People. 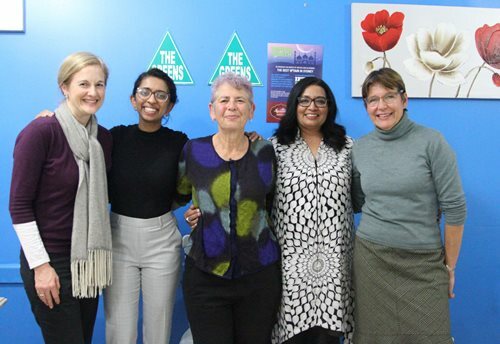 NSW Greens senator Lee Rhiannon has announced she's quitting her seat in mid-August 2018 to make way for NSW MLC Dr Mehreen Faruqi. 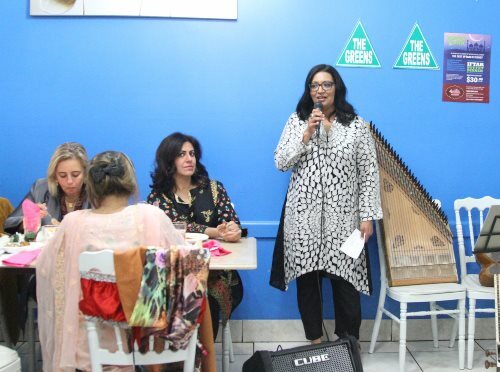 After just 2 months, Dr Mehreen Faruqi will become the first Muslim and First Pakistani woman to be a Federal Member of Australian Senate. 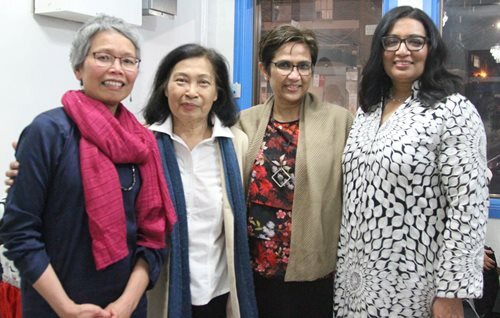 On Tuesday, 29th May 2018, Dr Mehreen Faruqi hosted an interfaith Iftar dinner at Himalaya function centre, Granville Sydney. 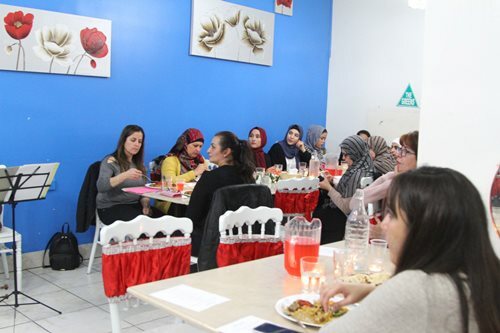 The Consul of Pakistan Consulate Sydney Bushra Salam, Political and Social personalities attended the Iftar event. 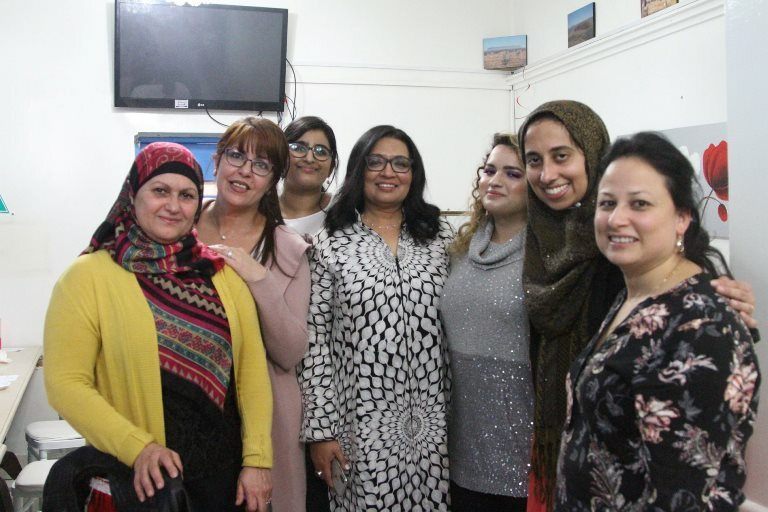 All female guests congratulate Dr Mehreen Faruqi for her journey from State Parliament of New South Wales to Federal Parliament Canberra as a Senator.